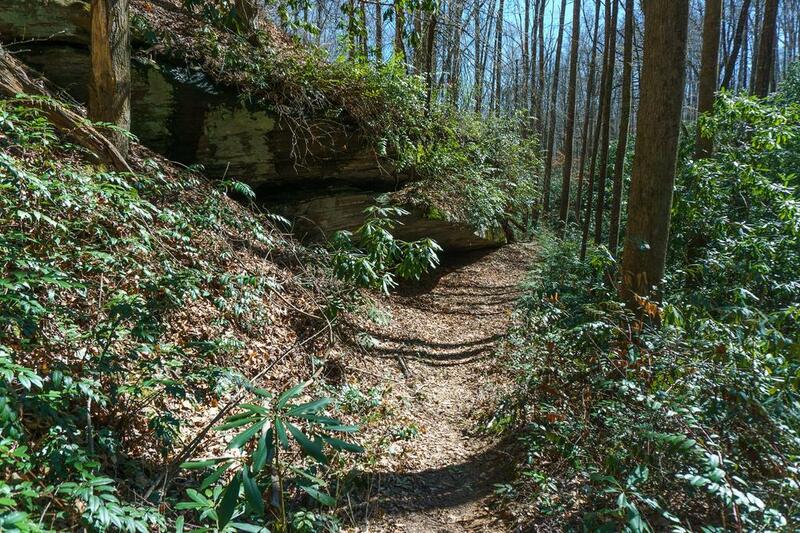 If a serene hike through hardwood forests, alongside a mountain stream, sounds like your perfect summer day, give the Coontree Loop trail a try. Since the trailhead starts at a great picnic area, it’s perfect for a morning hike followed by an afternoon of picnicking and grilling along the Davidson River. Directions: From Brevard, take 64E to US 276N, Coontree Picnic Area will be 6 miles ahead on the left. After parking, cross back over 276 alongside the small stream on the east side of the parking lot. The blue-blazed Coontree Loop trailhead will be ahead on the left.